Today, I’m sharing a vegan fitness & nutrition update with you, including my current workout routines, planning tools, recipe resources and supplementary products. While I’ve written about my running training a few times in the past, I’ve recently decided to switch up my focus a bit and work more on weight lifting before I start race training again. I stopped enjoying running, and switching up my workouts seemed like a good idea to get myself out of a rut! Over the past years, I’ve blogged about vegan fitness & nutrition quite a lot of times, just like much of the rest of the internet. But while many blogs focus on vegan diets as a health choice, I’ve always kept the two things quite separate. I eat healthily (most of the time) and work out for my fitness goals. I abstain from animal-derived products for, well, the animals, and for the planet. I’m well aware that not all vegan foods are healthy (hello Ben & Jerry’s) but I enjoy them anyway sometimes, because they taste amazing. Balance and all that. But at the same time, I try to keep my diet mostly clean to help me perform my best in my exercise regime. This in turn makes me happy and keeps me sane. There’s no denying that working out and good nutrition go hand in hand. Luckily, all the excitement around plant-based diets means that there are more than enough vegan recipes and supplements available. I only have access to a gym four days a week, so I concentrate on weights and cardio machines Monday to Thursday. To do this, I follow Lauren Gleisberg’s Weight Training 2.0 plan. I just split up the weeks to fit with my gym schedule. After all, we’re all about flexibility! On Fridays, I try to get in a yoga session first thing in the morning, although I’ve been struggling to get myself out of bed early. I use Yoga with Adriene for this. Finally, I try to get a run in during the weekend. When I get back to racing, I’ll have to start lifting less and running more frequently. At the moment though, this routine works really well for me! To keep myself on track, I plan out my week of workouts and write down my nutrition. I’m a terrible snacker, so if I don’t write everything down, I overeat without noticing. I started this when I first joined Tone It Up, and purchased my first Erin Condren planner this year. It’s been keeping me organised in all aspects of life all year! To keep myself from going overboard, I semi-regularly choose times where I just won’t track. On special occasions, for instance, or during holidays where I just want to enjoy and relax. To keep myself and my family interested in eating well, I try to incorporate new recipes into our meal plan. For delicious vegan high-protein meals, I use Terry Romero’s Protein Ninja, which I think might just be the greatest cookbook of our time. It has everything from smoothies to muffins to burger bowls. We’ve used it so often I’m debating whether it might be time for a second copy. I also absolutely adore Oh She Glows. Angela has literally hundreds of recipes on her blog, of which I’ve tried many – they’ve all turned out beautifully. She’s also published two cookbooks, which have become my favourite source of new smoothie and dinner recipes. With two toddlers of her own, they’re delicious and super family-friendly. There’s a huge market for vegan fitness & nutrition products at the moment, which is great but can be a bit hard to navigate. I try not to get carried away, but there are a few products that I really like. With all those heavy weights, for instance, I’ve found I rely on a lot more protein to help me recover. I’ve already posted about vegan protein sources last week, but I skipped over protein bars in that post for a few reasons. They’re not my favourite source of protein since they’re often high in sugar and they’re not particularly economical. However, when I’m in a post-workout rush, I do really enjoy Pulsin’ bars. But be careful if you’re buying – they’re not all vegan! During runs, I’ve also started sipping on Vivo Life BCAAs. The flavour is better than other brands, it’s 100% vegan and natural and the added coconut water in the formula keeps my hydrated. This is really important for me, as I’m not a runner that can go very far without water. I usually get thirsty within the first two minutes and can easily go through 750ml during a 5k. If you’ve got favourite vegan fitness & nutrition resources, please do share them in the comments. I’d love to read more! 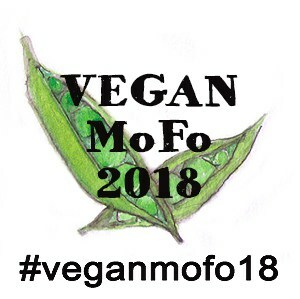 I just found your place thru Vegan MoFo and the blog roll – glad I did – you have a great place here! Happy Vegan MoFo, btw! CHEERS! Can’t wait to thumb thru more blog posts!